The Italian Baker by Carol Field just keeps on giving. 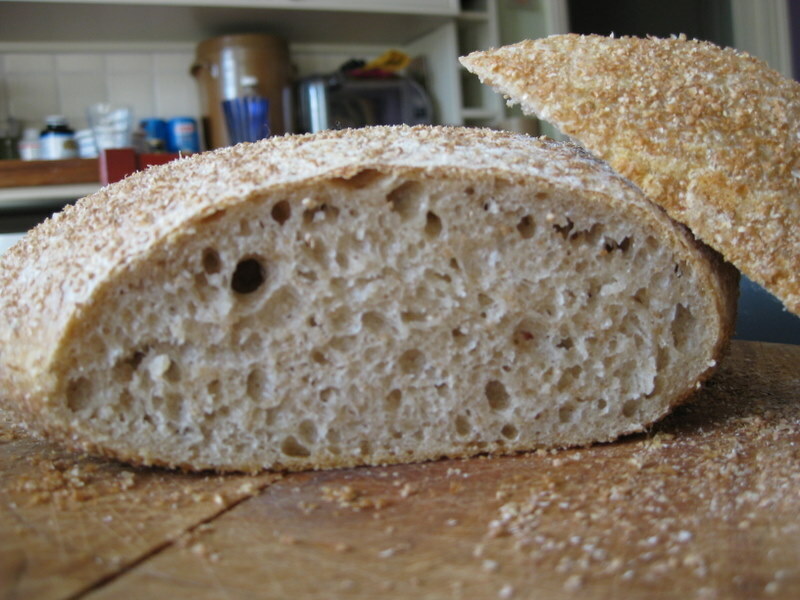 I have had a break from the Italian Bread Project for a few weeks but have come back to it after a discombobulating Easter and Royal Wedding double bill. 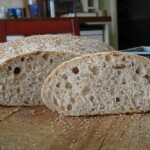 Sourdough pane di Genzano is sensational. 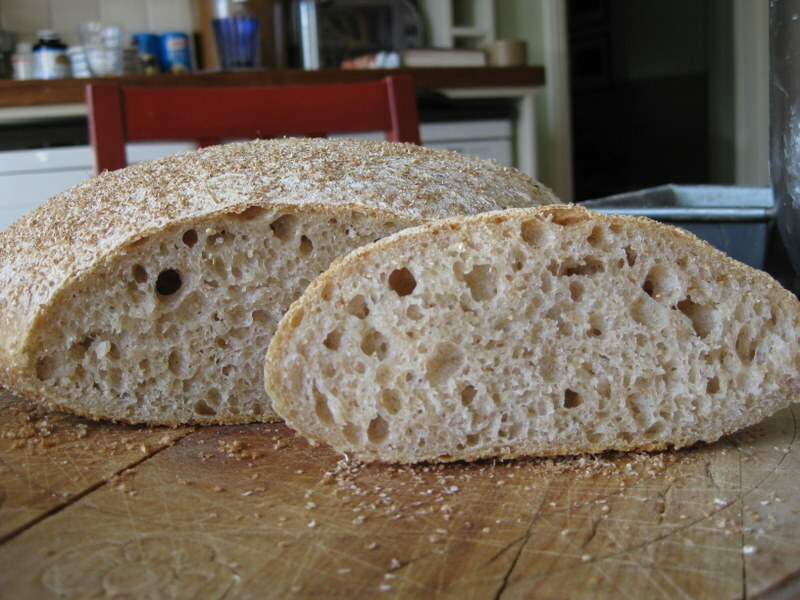 Like all these bread recipes it turns out an incredible light loaf with a tin crispy crust and a moist airy crumb. It is brilliant - as wobbly as a jelly - and baked in a pie dish or a cloche if you have one (I don't). 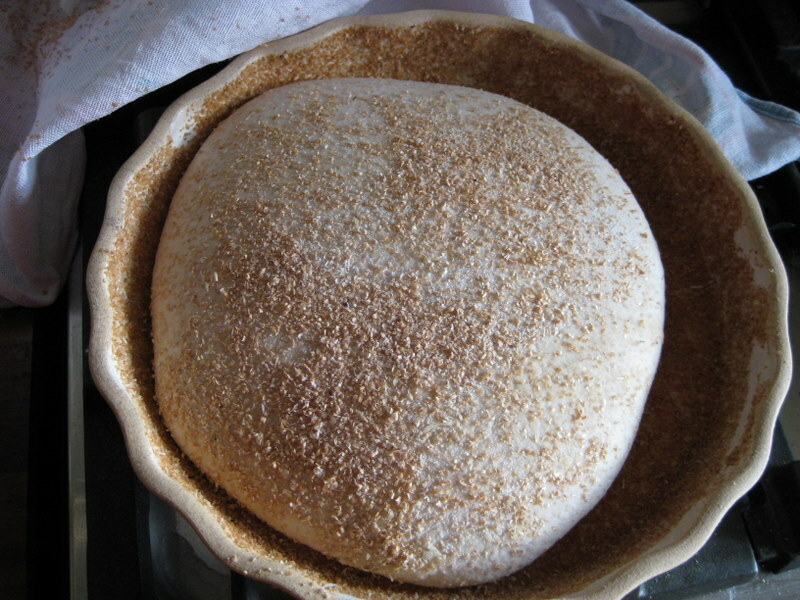 The dough is very sticky and you more or less pour it out of the mixer or scrape it off the board into an oiled bowl for its first (long) rise. Then you gently shape (no particular artistry involved in this shaping) into a blob and place it into a pie dish that you have oiled and sprinkled with bran. I seived my whole meal flour to get the bran. 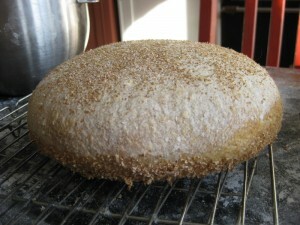 Bake for 40 minutes and you have a fantasic, crispy yummy loaf, well worth the wait! 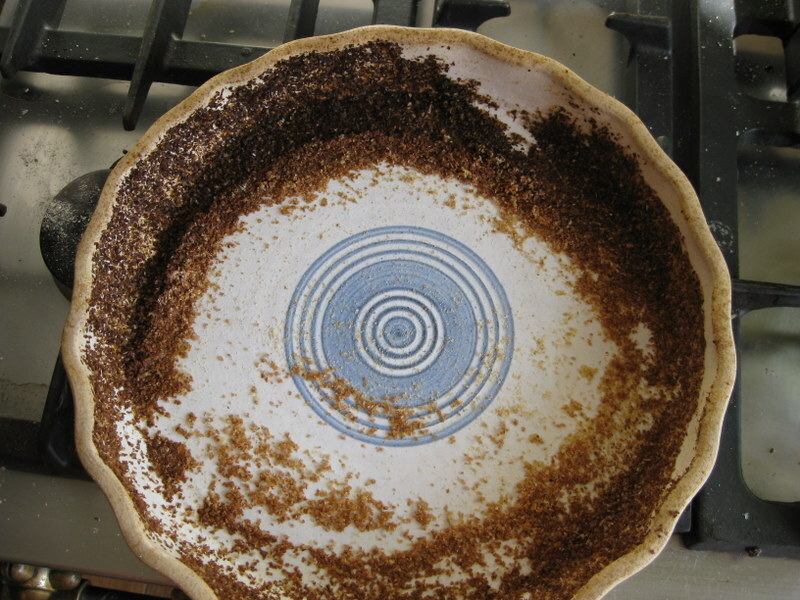 You also have a rather blackened pie plate to clean out! Knead for 15 minutes. Pour it into a bowl that is oiled with olive oil and cover. Let rest for 5 hours or until it has grown by 2-3 times. Flour a board, your hands, and a dough scraper if you have one and scrape the dough out on it. 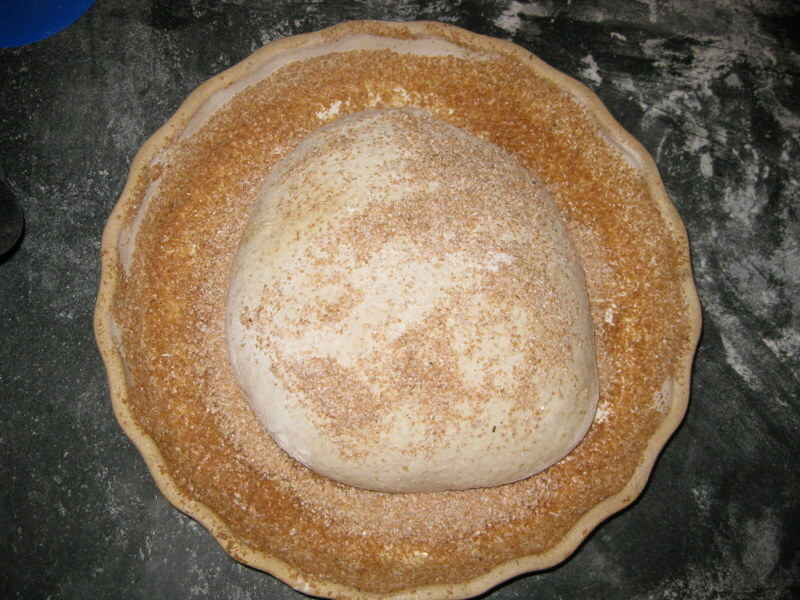 Shape the dough loosely into a round - no need for perfect or tight shaping - and pop it into a 9 inch pie plate that you have oiled with olive oil and sprinkled liberally with bran. Sprinkle the dough with bran too. Cover and let rise for 2-4 hours until it has appreciably grown and is domed. Bake at 230 for 10 minutes and 200 for 30 minutes. Remove from the pie plate and let cool. Yum.